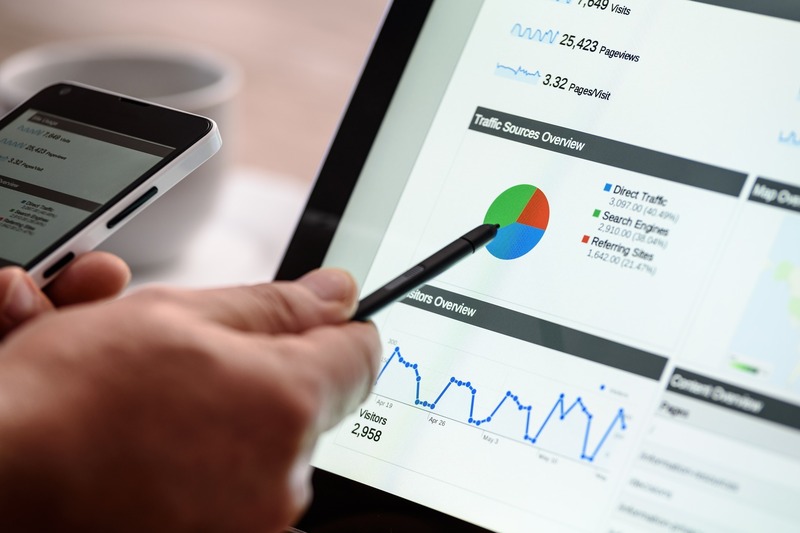 As a results-driven digital marketing agency, we know the importance of understanding web analytics and how this can drive your business to succeed online. Often we come across businesses who were sold on the lure of data, yet have no idea what to track, how to track it, or how to analyse performance and next steps. Here are the 5 main signs that you don’t understand web analytics – and what you can do about it! So you signed up to a web analytics program over a year ago, but you’re still not measuring your business objectives. You know there is a vast quantity of useful information contained in your program, but you cannot understand what it’s telling you about your business or how it can help you achieve your goals. Often the volume of data can make it difficult to choose what to measure and how to align that with your business goals. Fix: Decide on your business goals and how they align to your Analytics data, for example if your goal is to increase sales, then record ecommerce conversions from each traffic source that you’re working on, for example organic or paid traffic. Keep everyone on the team in the loop with business objectives and how they are measured in your Analytics data. Changes can occur and reporting may need adjusting often, so keep everyone updated to ensure you’re all on the same level. Dashboards are a common way to display data on a regular basis that can be shared around the team to see how digital marketing efforts are progressing. Oftentimes, these dashboards look pretty but aren’t of much use. The problem with dashboards is they are usually defined to only have the most important metrics, so they can either be too basic, or the opposite where every single detail is included to the point of not knowing what’s important to the business. goals and relate a KPI to each goal – once you understand what impacts your KPIs and how these affect your goals, your dashboard will be more usable. One of the best uses of web analytics software is to measure exactly how each of your digital campaigns perform, yet many people throw money at carefully designed campaigns without regard for how they will be measured and analysed afterward (or even better, during the campaign so optimisations can be made). Fix: Before your digital campaigns go live, ensure they are “tagged” with a campaign source in the URL so you can segment each campaign’s data in Analytics. If you don’t, all your site visits will be lumped together with general traffic and you’ll have no way of knowing what worked and what didn’t. Once you have tagged your campaigns, you can segment each in Analytics to see metrics specific to each marketing push, such as conversion rate, cost, bounce rate, sign-ups and so on. Are you still designing your based on the Highest Paid Person’s Opinion? While it is important to take this into account, often this is not what meets the needs of the customer to make your site attract and convert visitors. At the opposite spectrum, you also shouldn’t blindly follow data without subjective input. Fix: It’s important to use both HiPPO and data to help design your website to ensure everyone is one the same page and encourage marketing conversations. When designing your site (or updating its Look), the use of data can help reinforce design decisions – and this same data can be used to determine performance after your changes. Your site’s design should be crafted to meet marketing objectives, so use what data you can to keep everybody on board. This is so true. In order for your web analytics to be understood by everyone on your team who uses it, it must be presented clearly and simply in a way that’s logically driven. This way, it can be valued as a useful resource that’s more likely to be used in the future. and what needs to be done – understand and simplify your data to highlight meaning and actionable insights. Whether you’re looking to improve your site for SEO or conversion, both have the ability to positively benefit the other. Strategus specialize in SEO campaigns that benefit not only your rankings but also conversion. Get in touch with us to see how we can help.